At another workshop room, 11-year-old Darille is preparing a project for the CoderDojo Coolest Projects Awards 2017, a tech event for the world’s youngest innovators, creators and entrepreneurs. “I love what I am doing, though it is not easy,” says Darille. Ngadeu, his instructor put together a training module that enables 4 year olds to learn programming via tablets. Danielle envisions nurturing children to lead the digital revolution of the next generation through tech, business intelligence, and innovation. "We want the next Mark Zuckerberg to come from Africa," she says. Can she succeed in the challenge? There is a problem: too many startups fail. Fortune estimates 90% of them do not succeed. Dozens of brilliant startups in Cameroon flop before even seeing daylight. Most lack resilience, tenacity, and energy. 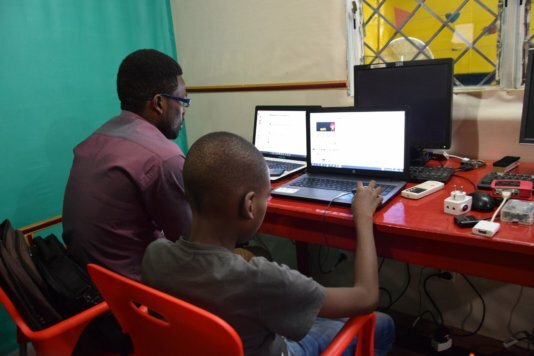 In addition, many parents in Cameroon feel skeptical about sending their children to learn tech. They consider learning tech as a distraction. Nevertheless, the Center's communications specialist, Guy Lowe thinks there are more reasons to hope. "The society progressively gains consciousness about tech and parents gradually understand the importance of our activities," he says. "Giving children the opportunity to enculture tech and entrepreneurship early on is important". Interestingly, the State of Cameroon is giving more importance to tech and entrepreneurship. "I encourage you to be daring, to be courageous and to take initiatives. The Government will do everything to assist you," said President Paul Biya during his February 10 2017 address to the youth. "I am pleased that the implementation of the CFAF 102 billion "Special Youth" three-year plan has started. It will support one and a half million young people aged between 15 and 35 years, at a rate of five hundred thousand youths annually, in various areas of interest such as agriculture and digital economy." Danielle celebrates the achievements of her Centres, citing the success of its geniuses. "Three of our children have won international prizes," she says. 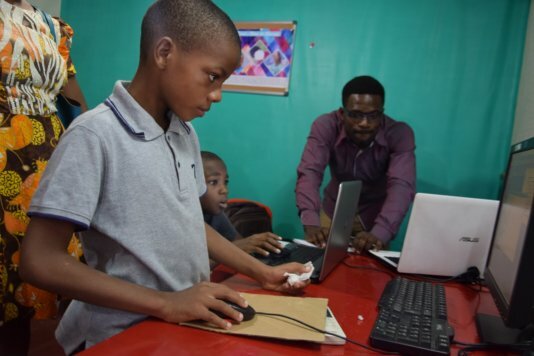 Stan and Davis trainees from the Centres won prizes during the Orange Code for COP22 #SuperCoders competition on their respective projects, ‘Trasbot' and ‘compost collector'. The former, is a video game that combats monsters that dump wastes in the city, and the latter, a game that segments composts. The Code for COP22 initiative invited 6 to 16-year-olds from all over the world to create games or animations in order to raise awareness about environmental protection. It received 130 entries and selected 7 winning projects among which the Centre's geniuses. 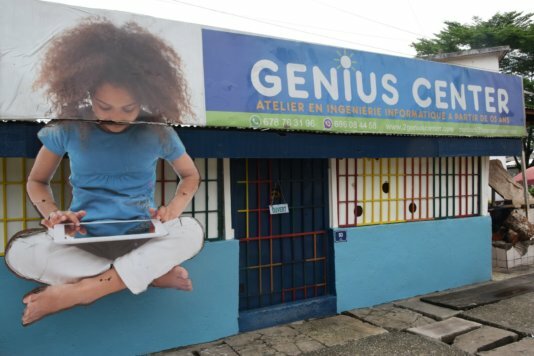 In the genius center kids learn about computer programming, robotics, engineering, and leadership. An instructor put together a training module that enables 4 year olds to learn programming via tablets. „Giving children the opportunity to enculture tech and entrepreneurship early on is important“.